What is ‘home’? A person? A place? A feeling of belonging? These are the questions that run through Barney Norris’s debut novel like a finely spun thread, drawing the disparate lives of his five protagonists together as they experience everything that defines a life: love, loss, disappointment, rejection, grief, illness, fortitude and forgiveness. From the first prologue-style chapter—a phantasmagoric rendering of the origins of Salisbury, when five rivers flowed through the flatlands, their confluence carrying the undercurrent of an eternal “song” of human life that reaches its crescendo in the apex of the city’s Cathedral—through to its neat and conclusive denouement, the novel is a well-wrought piece of literary fiction that exemplifies and transcends some of the genre’s hallmarks. 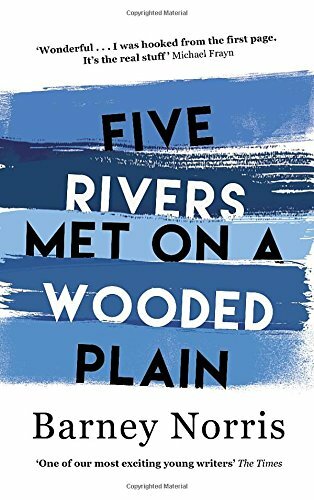 One of the most remarkable aspects of Five Rivers Met on a Wooded Plain is the characterization of its five narrators, whose stories, the metaphorical ‘rivers’, slot together and cross-narrate one another. In a refreshing move, the five narrators are not ‘special’ people. With low-key jobs and simple ambitions they are, in short, not the sorts of people that modern readers have been taught to crave. No high-flying lawyers or multitasking, City-dwelling, fashionably ‘creative’ types here; just five ordinary people whose collision on one particular evening in Salisbury town centre—a literal collision in the form of a car accident—represents the convergence of their life stories. There’s Rita, the ageing hippie flower seller who bears her heart on her sleeve and a bag of marijuana in her back pocket. There’s the elderly gentleman who, having just suffered one tragedy, must now endure another; there’s the lonely military wife whose stunted career causes her a yearning and pain more severe than her absent husband can comprehend; then there’s Liam, the lost soul former city-dweller who retreats back to the safe confines of Salisbury to escape the unrelenting grind of London. Yet by far the most compelling and well-written of Norris’s protagonists is Sam, the fifteen-year-old teenager whose eschewal of ‘normal’ teenage pursuits—“I never cared about the Internet or knew how to download anything. I went for walks instead”—and embrace of Fauré’s Requiem and quiet moments drinking tea with his father marks him out as a character whose personal tragedy is that much more profound and heartrending. That the novel takes its epigraph from George Eliot’s Victorian classic Middlemarch—a quotation in which Eliot’s omniscient narrator champions the extension of pathos for “the element of tragedy which lies in the very fact of frequency”—is entirely fitting, as Norris’s ability to touch and move using the most mundane of people and events is quite astounding. Inevitably, the book is somewhat depressing. There are moments where the narrative churns and rolls like a giant raincloud, the imminent arrival of yet another downpour for one character or another seeming almost unbearable, but this is what Norris does well. He creates suspense, a sense of horror of the reality that we see all too often in real life but do not really like to read about in books. In many ways, his novel is the prosaic embodiment of a universal truth acknowledged long ago by T. S. Eliot in Burnt Norton: “human kind cannot bear very much reality”. Yet there’s no turning away from this narrative, and bear it we must. Yet, reading the novel soon is a pleasure rather than a chore; Norris writes with such unwavering realism and lucidity that his words are truly compelling. This is the real power of the novel. Like George Eliot, the staunch defender of ‘the faithful representing of commonplace things’, Norris does not flinch from all that is real. People die, are ill, lonely, homesick, lovelorn, depressed, but amidst the scenes of crushing sadness and pained regret, of quiet pathos and unspoken sorrow, there are so many spots of joy to be found. At points, the density of the novel can be hard work. Reading the prologue is like winding up a music box: a certain level of effort is required to plough through the metaphorical description of the primitive earth song that runs through the coursing river-veins of Salisbury, but as the narrative gains pace, its deep, rich tone and texture soon play out like a fine, carefully constructed piece of music. Poetic in places, experimental in others—there are interview format chapters and Sam’s narration is interspersed with little ‘once-upon-a-time’ style vignettes—the narrative is fluid and rhythmic. The linguistic variation as the novel jumps from the melodic prose of the opening ‘river’ tableau to the jagged, rough-edged dialect of Rita is a particularly jarring moment which showcases Norris’s talent for adapting to different ‘voices’, a talent that is unsurprising given his successful career as a playwright and theatre director. In particular, Sam’s falling in love with Sophie, a fellow attendee at the after-school choir club, is a poignantly voiced memorial to the bittersweet intensity and transience of teenage love. The novel’s avoidance of sensationalism is one of its strengths, too. Rather than focusing on externalities like the car accident, the narrative is more of an exploration of the cogitations of the human mind. The quiet dignity and resilience of its characters as they ponder the big, yet unspoken questions—what constructs an identity? What constitutes ‘home’? How do simple life events seem pivotal in retrospect?—offer far-reaching, silent lessons that make even the most cynical of readers pause for thought. 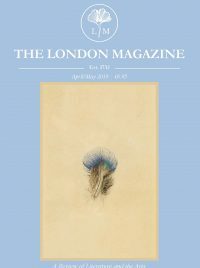 George Eliot may have argued that the ability “to be deeply moved by what is not unusual…has not yet wrought itself into the coarse emotion of mankind,” but, fast-forward a century and a half and Norris’s novel proves that human emotion—nourished by texts like his own—has, thankfully, evolved.